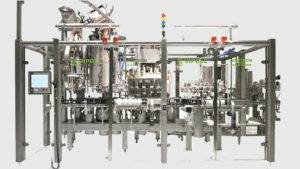 GEA presents its solutions for ready-to-drink tea for the first time at the Pack Expo - EFPS - European Food Processing Systems Ltd.
“Are you ready for ready-to-drink tea?” That’s the question that GEA’s tea experts are asking at this year’s Pack Expo International in Chicago, Illinois, USA (October 14–17, 2018, stand N-4927). GEA is targeting beverage producers who are continuously expanding their range of freshly brewed, ready-to-drink tea to align with the trend towards health-promoting diets. Consumers are becoming savvier and more demanding in terms of raw materials and quality. As a result, brands around the world are placing more emphasis on natural ingredients and regional flavors, which requires more dynamic product development among manufacturers. “Our customers are responding to this by bringing tea leaves directly into the plant as part of their process. In this way, a simple iced tea becomes a premium product,” says Steffen Rathmann, who manages GEA’s non-alcoholic beverage business. GEA offers solutions for the entire tea production process, whether in testing or the design, construction, installation and service of 24/7 turnkey plants, processing lines or modular technologies. At present, the development team has defined two priorities for the sector with the greatest optimization requirements for efficient and resource-saving production: the perfect brewing process and the treatment and handling of spent raw materials. According to Euromonitor International, the size of the global RTD tea market has grown by roughly 25% since 2011. Forty billion liters were sold in 2016 and this figure is expected to reach 45 billion liters by the end of 2022. Overall lifestyle changes, increasing disposable income and the move away from carbonated drinks, including to some degree alcohol and even juice, are the main drivers fueling this growth.